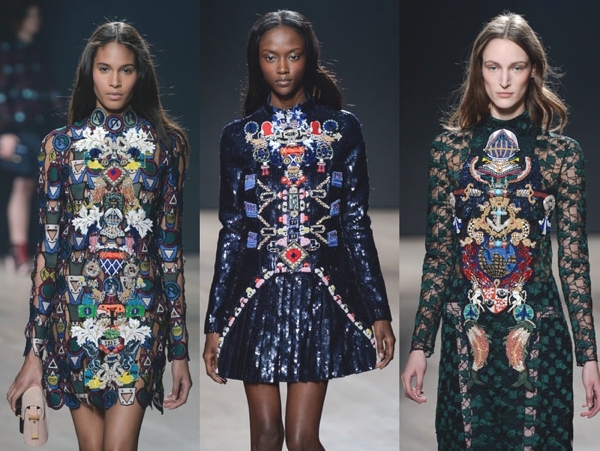 Mary Katrantzou impressed the world again with her amazing collection during London Fashion Week. Her Spring- Summer 2013 collection is sophisticated and extremely stylish. 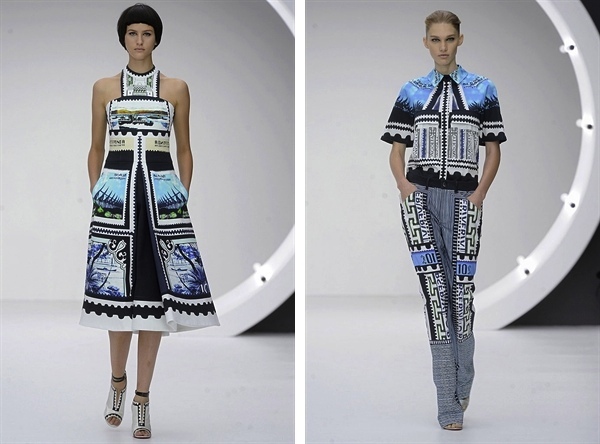 As you probably know, from my previous posts Mary Katranztou- A Greek Success Fashion Strory and London Fashion Week 2012 : The Amazing Winter Fashion Tales of Mary Katrantzou I adore her hyperrealist aesthetic and bold prints. 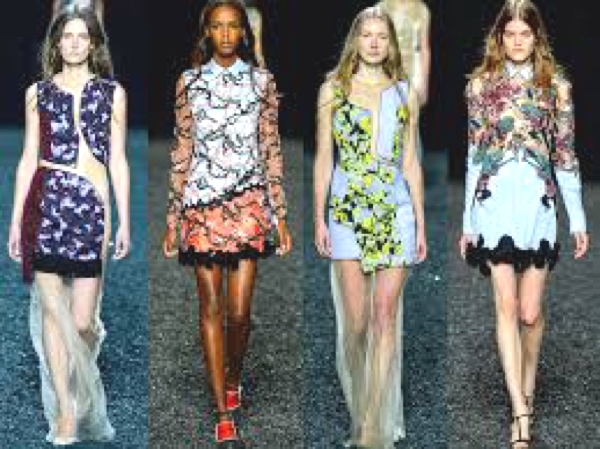 But before you enjoy my favorite pieces from the famous Greek fashion designer’s incredible fashion show, I would like to remind you that Mary Katrantzou won the Emerging Talent – Ready-to-Wear award at the British Fashion Awards 2011. Also, she was shortlisted for the BFC/Vogue Designer Fashion Fund 2012 which, by the way, won Jonathan Saunders. Loved this inspiring video! Mary Katrantzou paired up with the digitally like-minded artist Mark Titchner to create this upbeat video animation “Tint the Pallid Landscape (off to the wars in lace)”. This curiously named video brings together Katrantzou’s recognisable prints in a scrolling landscape together with Titschner’s text which feels like motivational therapy. The words Strength, Courage, Speed, Power, Stamina, Agility, Resilience, Passion, Precision and Ambition are all deliberately chosen Olympic and Paralympic qualities. 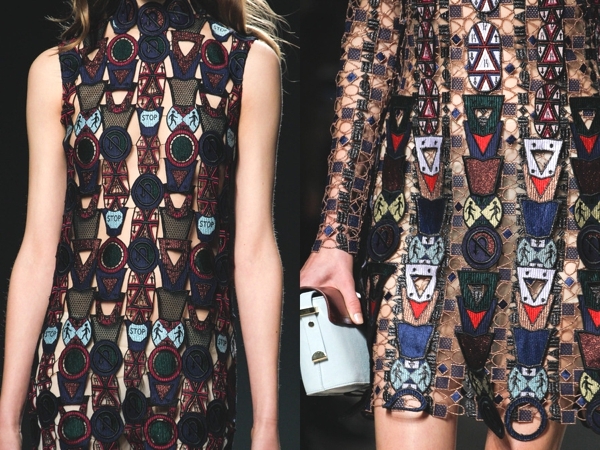 Celebrities love London Fashion Week’s brightest talents, Mary Katrantzou. Alexa Chung on of my seven favorite young fashion icons is wearing a Mary Katranztou “Ming vase” S/S 2012 dress. Chung isn’t the only one to champion the 28-year-old’s marvellous work: Actress Leelee Sobieski – who out of nowhere it seems, has asserted herself as quite the thoughtful dresser – made an impact when she rocked up to the Metropolitan Opera opening wearing a peplum, fish bowl-print minidress, a style not so dissimilar to the one Vogue Japan fashion director Anna Dello Russo was pictured in during New York Fashion Week. A amazing Mary Katrantzou dress on view in an exhibition in Rome. Here’s an image of Stacy Engman wearing it shot by Jessica Craig Martin. According to an article I read in British Fashion Council website Mary Katranztou’s future plans include “A new website, a collection of small leather goods and an exciting collaboration in the near future!” and as she told me they include also shoes! Me in an amazing Mary Katrantzou just before THE OUTNET birthday party in Dallas. Thank you 🙂 .. Of course we can follow each other through Bloglovin! 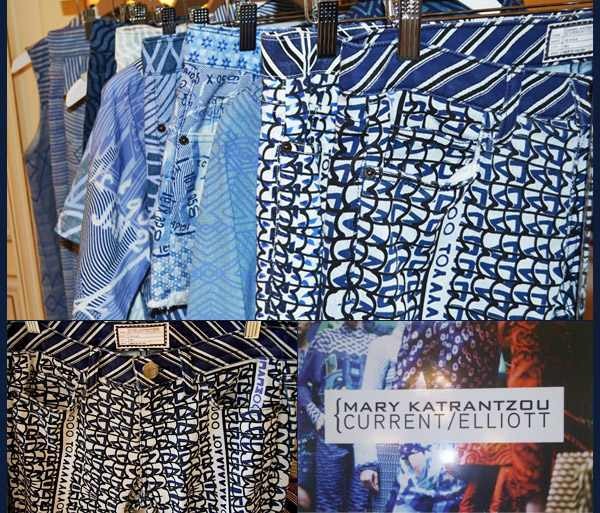 I want those stamp clutches and the printed Mary Katrantzou and Current Elliott jeans!